Date of Birth: July 12, 2001 - 16.0 h.h. 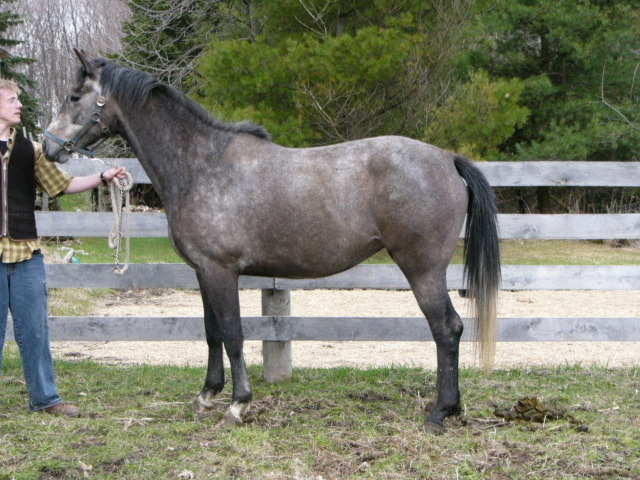 This is a superb quality mare, who has been well started under saddle. She capped a hock in Oct. 2004,was thoroughly examined at the Univ. of Guelph, and found to only have fluid - no chip or other malady. She was bred to Ferrari GS in Nov. 2004. He is a fantastic young son of the Champion hunter, Storyteller(Heinzelmann). The mare is 100% sound. A great buy!